Chandra Dev, as a God, is fair and youthful in appearance. He is considered wise, peaceful and auspicious. He wears white and carries a mace in one hand and is seated on a lotus which is carried by a shining white chariot pulled by white horses. The Moon rules the zodiac sign of Cancer. The gemstone of Moon is Moonstone and Pearls. The metal representing Moon is silver and direction is northwest. Chandra is a lunar God and a graha. 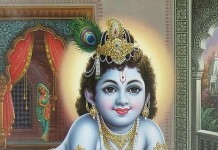 He is also related with the Vedic Lunar deity Soma. 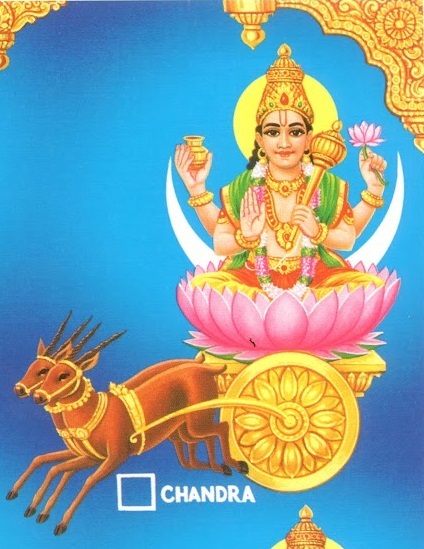 The Soma name alludes especially juice of sap in the plants and thus makes the Moon the lord of plants and vegetation. Meaning: Born while churning the milk ocean. Meaning : I bow to the Moon God whose hue resembles the hue of Curds, a conch and the color of show. I bow down to the one who sprang out from the milky ocean and the one who beautifies and adorns the crest of Shiva and who is of the form of nectar. The Chandra mantra jaap is used to please the planet moon. The pooja of Chandra done with the Homa is very useful and beneficial because the worship of the moon decreases the malefic effect and benefits the individual to a great extent. The positive energy of the Chandra Japam neutralizes the negative effect. The Homa for the Chandra Mantra is required for those whose moon is wrongly placed in the horoscope. Moon controls the five senses of the human being life. The mind is also controlled by the planet moon. 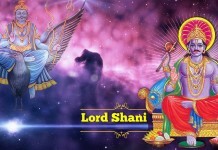 The Lord Chandra should be worshipped on Monday of bright fortnight. The Homa should be performed by sitting in the northwest direction. The nature of the moon is watery. 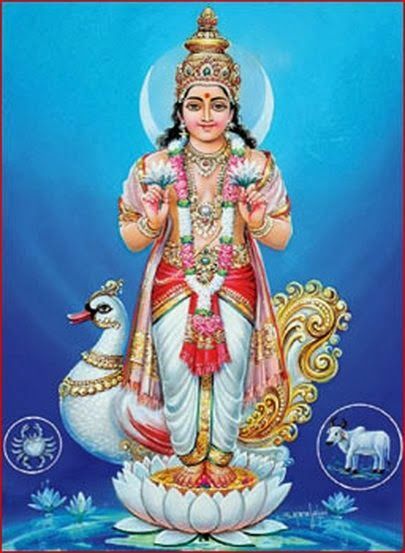 The Chandra Puja needs to be done on Monday of the bright fortnight. One should sit and face towards the northwest direction while performing the puja and chant 18 Malas. In addition to that, you can observe fast on Monday which would be very beneficial for the course. During the fast you can take one time meal while avoiding salt and grains. Also milk should be offered to Shiv Lingam on Mondays. The Homa done for the Chandra is very beneficial as it increases the strength of the senses of the individual. Moon is considered to be the indicator of well-being and happiness, indicator of females and their beauty, indicator of eyesight, mind and memory. The moon planet has the ability to take life in all the splendors. All the problems in life can be avoided by praying to Moon and performing the Homa. The Japam is very beneficial to remove malefic effects. Chandra pooja with the homa has many benefits in the life of an individual as it can remove all the mind problems and bring the good spirit into life. 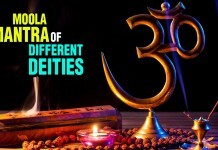 Homa with the Chandra pooja also rectifies the position of Chandra so that the individual can lead a peaceful life. All the desires and success are being achieved in the life. Peace and harmony comes back and all the health or mental problems go away from the life of the devotee. Prosperity and the good health is also achieved by the individual so that the life goes smoothly.